Bad Breath & Dogs What Does It Mean? Does your dog suffer from bad breath? If so, you’re not alone! Doggie parents everywhere complain of their canine’s bad breath, or halitosis. While poor dental hygiene is one common cause of bad breath, it’s not the only cause. There are a few other causes of doggie bad breath that you need to know about. Burying your head in the sand is not the best way to go. Your dog’s breath will get worse and similarly, so will his health. So what else causes bad breath in dogs? If your dog suffers from bad breath, the first thing you should do is assess his diet. If you are feeding your dog a low quality, commercial dog food then, switch his food. Look for a high quality alternative – the more natural, the better. If you are unsure about which food to select, your veterinary doctor can steer you in the right direction. Next, are you providing your dog with any dental care? You should be brushing his teeth at least a few times a week and providing him with dental chews or toys that help keep plaque and tartar build up to a minimum. Rope toys are a good choice as they mimic the action of a dental floss. Choose sugar free biscuits or healthy vegetables or fruit. Apples and carrots are loved by most dogs and they help keep the teeth clean. You know that clean feeling you get after eating an apple? Your dog can experience that too. If you already have your dog on a high quality diet and have an established dental care regime in place then you must take your dog in to see his veterinary doctor. The veterinary doctor will perform a full examination which may lead to a few more tests to determine the root cause of your dog’s bad breath. Be patient and remember, a small vet bill today can prevent even larger vet bills in the future as well as spare your dog months or years of suffering. A minor infection can spread to your dog’s brain and kill him. If it turns out that your dog simply has a case of ordinary doggie bad breath, consider yourself lucky. Continue to keep up with routine examinations and continue to follow the tips above. At any stage in your dog’s life, good health should never be taken for granted. 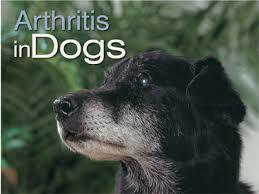 A common assumption exists that only old dogs show signs of arthritis. That is completely false. In fact, research indicates that sixty-five percent of dogs over the age of six may show signs. Arthritis is the result of the breakdown of cartilage. When this happens, the bones rub together thereby resulting in swelling and pain in the joints. Pain syndromes can affect not only the physical aspect of a dog’s life but unfortunately, also affects him psychologically. However, you are not rendered completely helpless as your dog suffers. That’s right, there are some preventative measures that will make him more comfortable and improve the quality of his life. First of all, consider your dog’s diet. What are you currently feeding your dog? A high quality diet is non-negotiable! A high quality, grain-free diet is the crucial and if you can swing it, home cooked meals are even better as then you will be in complete control of what goes into your dog’s body. However, not everyone is ready to dive into providing home cooked meals. Just do your research with commercial foods. Aside from being grain free, the food you feed your dog should be only include ingredients made for human consumption. Speak directly with your vet, if you’re not sure how to read a dog food label. Additionally, there are some foods that will aggravate your dog’s condition and cause inflammation. Grains, potatoes, peppers, eggplant and tomatoes should be avoided if your dog shows any signs of arthritis. Alternatively, feel free to give your dog parsley, garlic, mango, papaya, alfalfa, ginger and celery as they are among the foods that may be helpful to dogs with arthritis. Next, consider the amount and duration of exercise your dog is getting. Exercise is required to keep your dog at a healthy weight as well as, limber and free from stiffness but it is suggested that small bouts of exercise 3 times a day are best. Too much of a good thing in this case really will be bad for your dog. Also, think about what exercise your dog is doing. Think low-impact and easy on the joints! Finally, make your dog comfortable around the home. He should be able to easily navigate the home. Doggie stairs and ramps will keep your dog from jumping unnecessarily. Again, low impact all the way. Also, where does your dog sleep? Go the extra mile and provide your best fur pal with an orthopedic bed. This will reduce pressure on the joints and allow your dog to receive the best night’s sleep. Many of you allow your dog to sleep with you. I’m thinking if you’re comfortable on your mattress, your dog will be too!! A soft, warm bed will not only reduce pressure but keeping him warm will alleviate stiffness and pain associated with arthritis. 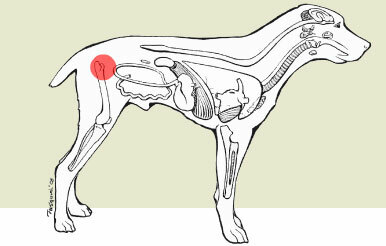 If your dog begins to show signs of arthritis, seek immediate medical attention. As with any other condition, prompt treatment will provide the best outcome and eliminate unnecessary suffering. Keep in mind that you really need to know your dog’s habits and personality as dogs are really great at masking signs of pain. Your dog will continue to run and play, especially if it is to please you and may not self monitor to give himself a break when needed. Are herbs really safe for my dog and cat? While herbs can be a safe alternative to conventional therapeutic medicinal practices, there are herbs that can be dangerous and even deadly when not used in the correct way. Herbs, just like conventional medicines may have side effects and can even interact with conventional medicines in an unsafe way. It is always to good practice to consult your veterinary doctor before introducing herb therapy to your pets, especially if he is on any type of medication or his immune system is compromised in any way. So, which herbs are not safe? is unsafe in high doses. It is highly concentrated and therefore should never be used pets. is not safe for cats or small dogs. In larger dogs, tea tree oil may be used but extreme caution must be exercised. It must always be diluted in a 50:50 ratio with olive or almond oil. may only be used in smaller doses and must not be used over long periods of time. Long term use may cause cancer and liver damage due trace amounts of alkaloids. Comfrey root must not be used internally as the root is even higher in alkaloid concentration. The leaves are safer to use. may cause irregular heartbeat and high blood pressure so use must be closely monitored. This herb is used to treat asthma in pets but should not be used if any of these side effects are present. can cause vomiting and bloating if used for over long periods of time, especially in large doses. Use small doses and sparingly. in small amounts can be used safely especially when used to treat for parasites, infections and cancers. Garlic should not, at any time, be given to a dog with anemia. should never be used on pets. It can rid your pet of worms but could come at a lethal cost. Small doses are safe; however small doses are not effective in de-worming so, don’t bother! As you can see, while herbs may be a natural alternative to conventional medicine, not all herbs are safe to use. Always consult your holistic veterinary doctor to determine if herb therapy is safe for your pet and under what health and dosing conditions. Take the steps to educate yourself and your pet will stay healthy and happy! The free and easy movement of the hips and legs are due in part to the ball and socket joint. The end of the thighbone (the ball) should fit snugly into the hipbone (the socket). Any deformity in the joint, connective tissues or muscles surrounding the joint is referred to Hip dysplasia. Hip dysplasia prevents free movement and can be quite painful. While it is most commonly found in older dogs, puppies and young adult dogs are still susceptible to developing this painful condition. So, what exactly causes canine Hip dysplasia? There are many natural supplements that relieve pain and inflammation associated with canine Hip dysplasia and other arthritic conditions. Your holistic veterinarian can guide you on how to best include fatty acids, vitamins, Glucosamine, Chondroitin and Methyl-sulfonyl-methane into your dog’s dietary intake. These will all reduce pain and swelling. Additionally, herbs such as dandelion, alfalfa, Licorice, Cayenne and Ginger also work in form or another to reduce pain and swelling, improve circulation, repairing joint damage, as well as removing waste from the body. Don’t wait until your dog is suffering to address issues such as canine Hip dysplasia. Making good decisions now can help prevent or at least minimize the severity in which your dog suffers. It’s never too early to start your dog on supplements. Feed your dog a high quality diet so that he receives proper nutrition and maintains a healthy weight. Also allow your dog to participate in daily activity that doesn’t put undue strain on his joints. Running and swimming are two great activities that allow your dog to receive adequate exercise without harming his joints. Pets have emotions, just as we do. While they can be masked and displayed in ways that differ from a human, they are still present. They feel sadness, pain and anxiety. There are ways you can help your pet beat these emotions and the good news is; you don’t need prescription drugs in order to do so! There are many remedies out there these days. You may have heard of homeopathic healing, essential oils and natural healing. Flower Essence is very similar. However, flower essence is just that; the healing part of a particular plant or flower that possesses the ability to calm your pet’s nerves. It helps to beat the blues and to provide emotional well being and balance. 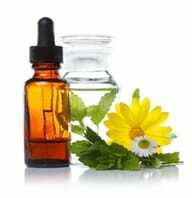 Also, Flower Essence is used to treat mental disturbances as opposed to physical conditions which homeopathy is used to treat. Flower essences use only flower and plant extracts where as homeopathy combines additional ingredients. Flower Essence is created without the use of chemicals or pesticides. You may have heard of Bach’s Rescue Remedy, which is one of the most popular remedies out on the market. Add a few drops to your pet’s water. Put some flower Essence in a spray bottle of water and simply mist your pet. Place the Flower Essence directly in your pet’s mouth using a dropper. Rub the Flower Essence onto your pet’s body – belly, ear flaps or pads of feet. Just be sure to apply it unbroken skin. These remedies are a wonderful way to provide relief to your pet with non-invasive, non-harmful comfort. Many pets that are emotionally unbalanced and suffer aggression, depression and grief have shown great improvement with the use of these simple flower derived treatments. These essences can be purchased from health stores, pet stores and via online sites which specialize in holistic healing. 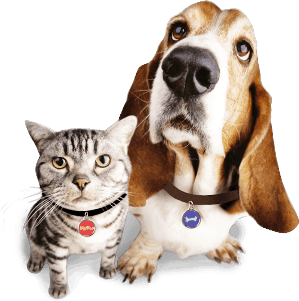 Search around, try out a few different options on your pet and see the amazing results. Keep in mind this is not a replacement for medical treatment or western medicine. But it is worth a try if your pet needs something to soothe their nerves. Always consult your holistic veterinarian to see if Flower Essence is right for your pet. Do you use natural remedies on your pet? Tell us. We’d love to hear about it. Would You Use Flower Essence On Your Pet?